Opening of the exhibition of The Future Is Now, curated by Henry Amistadi. July 9th, 2015 @ Section A Studio, Bushwick, Brooklyn, New York. 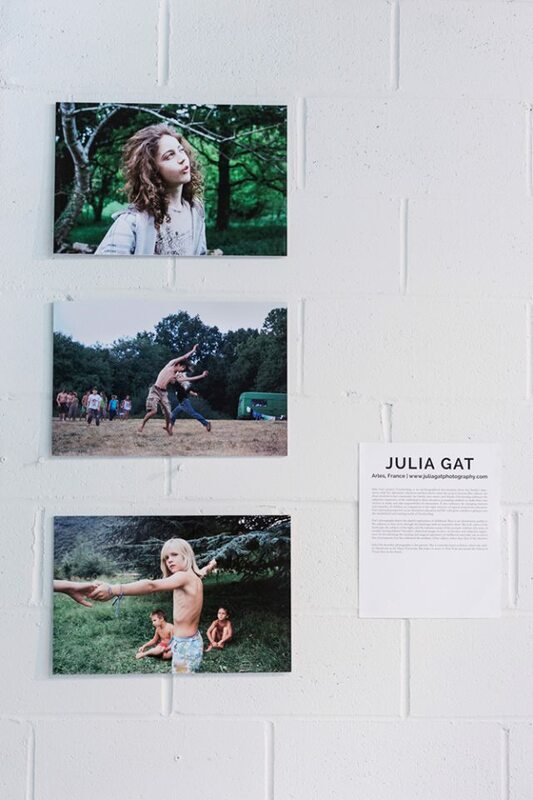 "Julia Gat’s project, Unschooling, is an autobiographical documentary about her family’s experience with the alternative education method whose name the project borrows. Her subjects are those involved in her community; her family, class-mates, and friends. Unschooling embraces the subjective experience of the individual in their education, prompting students to make their own choices in study, and take responsibility for themselves. It also embraces the changing interests and creativity of children, in comparison to the rigid structure of typical mainstream education. Gat’s personal perspective on an alternative education and life-style gives outsiders a glimpse into the uninhibited and exciting world of Unschooling. Henry Amistadi, Saleem Ahmed, Rachel Chabot, Julia Gat, Grant Gill, Sarah Gregoire, Cody Herlihy, Melissa Kagerer, Christiana Rifaat, Erica Roberts, Thomas Rogalski, Dakota Sumpter and Nathan Veilleux.